ASL Airlines Belgium Boeing 757-200F NC FS9 for the AIG Boeing 757-200 RR base model. These are FS9 textures only. The AIG Boeing 757-200 RR base modes is required. It can be found at http://www.alpha-india.net/aigfiles/files/Models/. ASL Airlines Belgium Boeing 757-200F NC FSX for the AIG Boeing 757-200 RR base model. These are FSX textures only. The AIG Boeing 757-200 RR base modes is required. ASL Airlines Ireland Boeing 737-400SF & BDSF’s NC Logolight for the FAIB Boeing 737-400 Logolight FS9 base model. These are FS9 textures only. The FAIB Boeing 737-400SF & BDSF’s Logolights FS9 base model is required. ASL Airlines Ireland Boeing 737-400SF & BDSF’s NC Logolight for the FAIB Boeing 737-400 Logolight FSX base model. These are FSX textures only. The FAIB Boeing 737-400SF & BDSF’s Logolights FSX base model is required. FedEx Boeing 737-400SF & BDSF’s opb ASL Airlines Belgium for the FAIB Boeing 737-400 Logolight FSX base model. FedEx Boeing 737-400SF & BDSF’s opb ASL Airlines Belgium for the FAIB Boeing 737-400 Logolight FS9 base model. 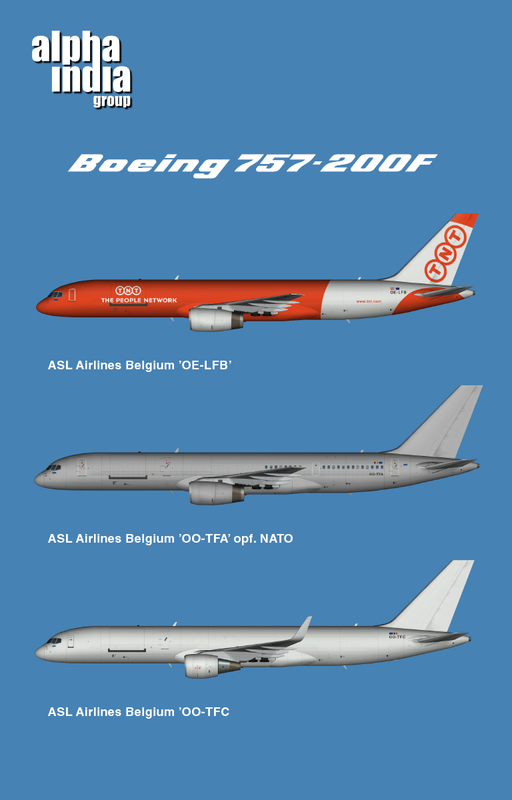 ASL Airlines Belgium Boeing 747-400F for the FAIB B747-400F PW FSX model. ASL Airlines Belgium Boeing 757-200F FSX for the AIG Boeing 757-200 RR & PW base models. These are FSX textures only. The AIG Boeing 757-200 RR & PW base models is required. ASL Airlines Belgium Boeing 757-200F FS9 for the AIG Boeing 757-200 RR & PW base models. These are FS9 textures only. The AIG Boeing 757-200 RR & PW base models is required. 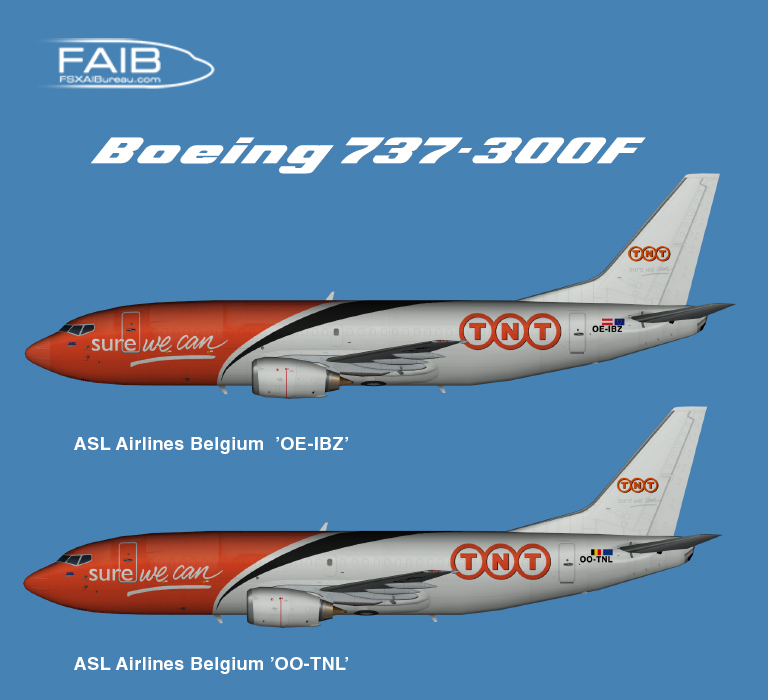 ASL Airlines Belgium Boeing 737-300F Logolight for the FAIB Boeing 737-300 Logolight FSX base model. These are FS9 textures only. The FAIB Boeing 737-300F Logolights FSX base model is required. ASL Airlines Belgium Boeing 737-300F Logolight for the FAIB Boeing 737-300 Logolight FS9 base model. These are FS9 textures only. The FAIB Boeing 737-300F Logolights FS9 base model is required. ASL Airlines Belgium Boeing 737-400SF Logolight for the FAIB Boeing 737-400 Logolight FS9 base model. These are FS9 textures only. The FAIB Boeing 737-400SF Logolights FS9 base model is required. ASL Airlines Belgium Boeing 737-400SF Logolight for the FAIB Boeing 737-400 Logolight FSX base model. These are FSX textures only. The FAIB Boeing 737-400SF Logolights FSX base model is required.